The 1,000 shots workout distributes jump shots into seven different spots on the floor. From each spot she makes 100 shots. Between sets of jump shots, she will make 100 free throws. To give the workout variety, she explains how to use different techniques to break up the total into groups of 15 or 20. From each spot she will use several ways and skills to get the shot off. Players can alter this workout to fit their age, strength, and goals as a shooter. 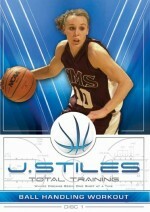 As a high school player, Jackie Stiles committed herself to become a better player and shooter by making 1,000 shots a day from her sophomore year in high school until her freshman year in college. 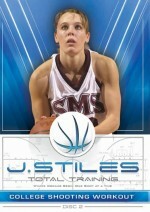 Stiles believes that repetition, with correct technique, will make good shooters great. 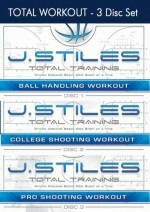 This is an excellent workout template for any player to use to become a great shooter.